It is easy, at this remove, to be entranced by the “romance” of the seaborne trade in the 19th Century, when the numbers of ships grew explosively to satisfy the needs of the first era of commercial globalisation. 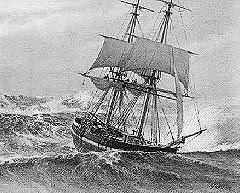 Images immediately come to mind of clippers racing under full sail to carry tea from China, of square-riggers rising to the challenge of Cape Horn, of the tens of thousands of brigs and schooners which carried oceanic as well as coastal trade, of the early steamers and other ships that were to be immortalised in the writing of Joseph Conrad. The beauty of so many of these ships, even the humblest, and the skill with which they were handled in the absence of any modern aids to navigation, do however tend to blind us to the fact that life on so many of these ships was brutal in the extreme. Looking at life – and death – at sea in the 1870s, a single decades, reinforces this view. Life in the merchant service was not just nasty and brutal – it could also be very short. Shipwrecks on an annual basis were at levels undreamed of today. The losses off Britain in one year alone is starkly illustrative: in 1873-4, 411 vessels, many small, sank around the British coast, with the loss of 506 lives. 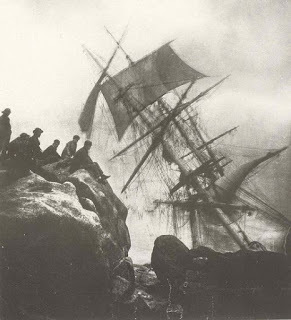 Bad seamanship and extreme weather were not responsible in many – perhaps ever a majority – of cases. 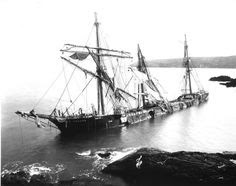 Ships frequently broke up or fell apart for the simple reason that they were already rotten and worn-out. 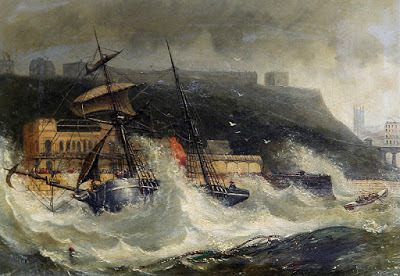 Standards for structural integrity and for limits on loading had indeed been established as early as 1835 by Lloyd’s Register and compliance was a pre-requisite for insurance by reputable entities associated with Lloyds. There was however no legal requirement to meet such standards and many ship-owners operated vessels that were so unsound that they became known as “Coffin Ships”. Worse still, they were often loaded so heavily as to be incapable of surviving the first serious storm they would encounter. 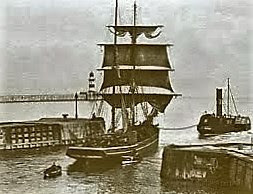 The situation was made even worse by the fact that once a seaman had signed on for a voyage – which on occasion poverty might force him to do without having first seen the ship itself – refusal to board could result in criminal prosecution and imprisonment with hard labour, typically for twelve weeks. In the 1850s a British prison-inspector reported that three-quarters of all prisoners in gaols in England’s south-west were such seamen. Their crime had been to refuse to sail on vessels they believed to be unseaworthy or which were inadequately manned. This was the background to the great crusade for safety at sea waged by the coal-merchant turned activist, Samuel Plimsoll, one of the great Victorian heroes. He entered parliament to fight on this issue in the early 1870s and his efforts were to be finally rewarded by imposition of statutory safety requirements. The most notable was to be the “Plimsoll Line”, still carried on ships’ hulls, which provided visual confirmation that the ship was not over-laden. Legislation was one thing, enforcement of compliance was another, and a battle still lay ahead. A later blog will deal with Plimsoll’s in more detail. That there was still a long way to go in the 1870s was illustrated by an eyewitness account by the writer, artist and explorer Frederick Whymper (1838-1901) of crew conditions on shipping he saw departing from British ports. 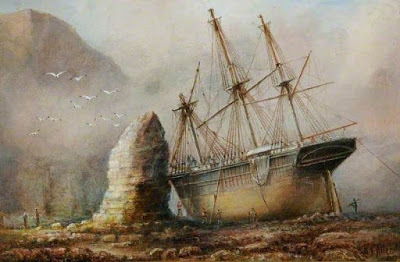 He noted that even on many “superior vessels” the seaman “may, and often does, wade to his bunk through water, and the forecastle is too often a miserable hole, full of dirt and filth, where the men are packed like herrings.” Whymper was particularly critical of the food, mainly “salt horse” and hard biscuit of the most inferior type. Even at this late stage scurvy was still often a problem, not least because the lime-juice that should have prevented it was frequently grossly adulterated. Whymper claimed that there was little or no scurvy in the Russian and French merchant navies because of the use of “sour wine” in lieu of lime juice. (It is not clear whether this did indeed have anti-scorbutic properties). This is a sketch only, but it is a reminder, when we are entranced by depictions of billowing canvas, or when we read of the romance of the age of sail, of what lay beneath the attractive exterior. Beauty is often only skin deep. Glad you enjoyed the article Drew – I’ll keep the books and the blogs coming!